Beneath a sky alight with fireworks, the Motor Vessel Freewinds launched on her Silver Anniversary Cruise from St. Kitts in the Caribbean. In celebration of her 25 years at sea, a weeklong convocation convened aboard the religious retreat, attended by more than 200 advanced Scientologists from Churches around the world. The island of St. Kitts hosted a sendoff party for passengers and crew of the Freewinds in honor of the ship's 25th Maiden Voyage Anniversary. The Scientology Motor Vessel Freewinds cast off from Port Zante, St. Kitts, for her weeklong Silver Anniversary Cruise. Mr. David Miscavige, Chairman of the Board Religious Technology Center and ecclesiastical leader of the Scientology religion, presented a series of events highlighting a year of unparalleled expansion. Mr. Miscavige also detailed accomplishments capping a quarter century of maritime and humanitarian service by the Freewinds. As the longest-running passenger ship in the Caribbean, the Freewinds has called on 52 ports in the islands and northern Colombia. The government and people of St. Lucia commemorated the Freewinds' legacy of service to the island with a monument presented in her honor. The monument stands at the entrance to a cruise terminal in the harbor where 350,000 tourists pass by each year. A monument at Bonaire Harbor, commissioned by the governor on behalf of the island and its people, expressed appreciation for 25 years of support from the Freewinds. A monument in the Freewinds’ home port of Willemstad in Curacao was unveiled by the office of the Prime Minister in honor of the ship's 25th Maiden Voyage Anniversary. On “Freewinds Day,” islands across the Caribbean demonstrated their friendship and appreciation for 25 years of continuous service and contributions by the ship and her crew. Ministers, commissioners and directors of tourism of the Caribbean Tourism Organization gathered aboard the Freewinds to officially proclaim “Freewinds Day” in all 31 Caribbean islands. The proclamation acknowledges the Freewinds for enriching “the standard of life and well-being” across the region. Curacao and Aruba honored the ship's silver anniversary with commemorative postage stamps. In her 25 years of sailing the Caribbean, the Freewinds has been honored with more than 300 plaques, recognitions and awards. On the evening of Saturday June 14, fireworks fell above St. Kitts Bay as the Scientology Motor Vessel Freewinds launched on her Silver Anniversary Cruise. In celebration of her 25 years at sea, a weeklong convocation convened aboard the religious retreat, attended by more than 200 advanced Scientologists from Churches around the world. 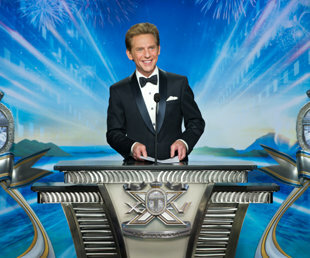 Mr. David Miscavige, Chairman of the Board Religious Technology Center and ecclesiastical leader of the Scientology religion, presented a series of events highlighting a year of unparalleled expansion. Over the course of the anniversary cruise, Mr. Miscavige also detailed accomplishments capping a quarter century of maritime and humanitarian service by the Freewinds. The Freewinds is the only civilian ship on the high seas designated as an official training platform by the United Nations International Maritime Organization. In that capacity, the Freewinds has conducted safety and security training for more than 100 Caribbean port authorities, coast guards and maritime organizations. Freewinds passengers and crew have contributed tens of thousands of hours of humanitarian work to the islands they visit, including organizing and conducting cultural programs; sponsoring drug prevention, human rights and moral education for island youth; and hosting benefits for community and charitable organizations. The broader social mission of the Freewinds is exemplified by the ship’s partnership with national police and military organizations to bring The Way to Happiness—a common sense guide to better living—to nations across the Caribbean as well as both South and Central America. To date, more than 11 million copies of the booklet have been distributed in island ports and throughout Colombia, Ecuador, Mexico, Costa Rica, Guatemala and the Dominican Republic. The booklet is now recognized as a contributing factor to lowering crime rates and instilling morals. In recognition of the Freewinds’ contributions, more than 300 awards have been bestowed in her honor. Those recognizing the ship comprise an entire spectrum of civic organizations, government agencies and ministries, as well as prime ministers and presidents. A commemorative Freewinds postage stamp from the island of Aruba. The Freewinds began service as a Church of Scientology advanced religious retreat in 1988. The 440-foot motor vessel provides a distraction-free environment for parishioners to study and experience the highest level of spiritual counseling available in the Scientology religion. The Freewinds further serves as a venue for international Scientology conventions and events.